children. In that period, we have striven to keep Christ at the core of all we do. Students are taught to understand, analyze, and interpret every subject from a Biblical perspective. Classical Christian Education builds a biblical framework that focuses on the whole child in every subject area. Looking to God's Word and His divine purpose is what should enable us to understand our world and ourselves as God's children. 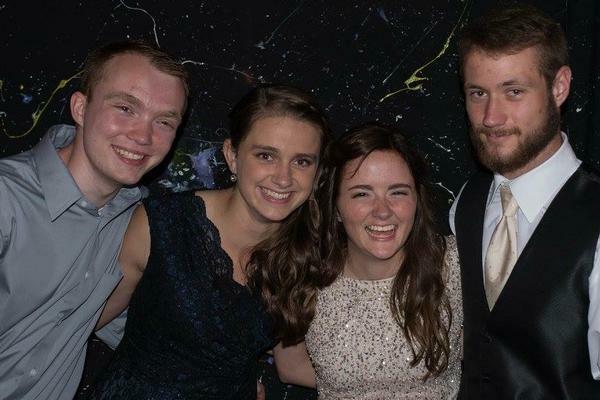 At RTCS, we believe in The Classical Christian Approach to education as it has not only withstood the test of time, but also continues to successfully develop students who love learning and desire to be contributors in society to the benefit of God's kingdom. “For what does it profit a man to gain the whole world, and lose his soul?" (Mark 8:36). Specifically, this approach emphasizes teaching concepts and not just facts to the students. Students will be challenged to develop critical thinking skills in responding to what they learn from a biblical perspective. Discipline is more than enforcing rules and regulations; it is an exercise of appealing to the student’s heart in response to God’s word and helping them understand where the rules come from. Although the classical methodology is imbedded into our curriculum from Kindergarten to 12th grade, specific classical classes include Latin, informal and formal Logic, Rhetoric, and Senior Thesis (in which students research, write, and present a position on a certain topic). The RTCS Curriculum is built around the fact that our wonderful, almighty God reveals himself in the temporal diversity of His awesome Creation, and that he calls us to explore, delight in, and be stewards of His Creation through our studies and our works even as He called Adam and Eve to tend to the garden and to classify and name plants and animals. 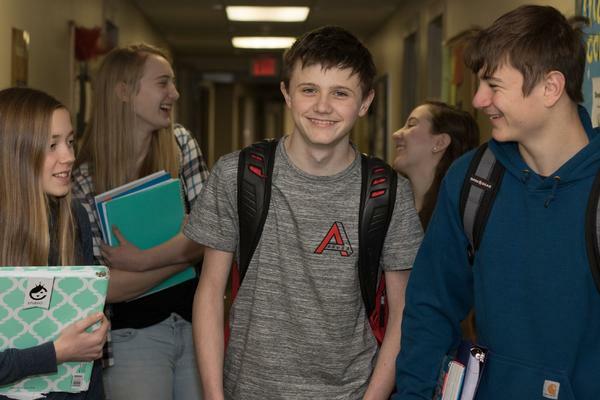 As such, RTCS provides students with a well rounded education so they are well trained in the areas of mathematics, sciences, history, social studies, geography, language arts, Bible, literature, music, and fine arts. Bible class is required every year for upper school students. A New International Version Bible is necessary for these classes. The senior high curriculum also includes a Church History and Apologetics course during the junior or senior year. All Bible classes are taught from the perspective that the Bible is God's inspired, inerrant Word, that it is focused on Christ and his saving work and that it is the only infallible guide to what we believe and how we should live. Daily devotions are conducted for each homeroom. Chapel (Course#299) is included on the weekly schedule for the entire upper school body. All students are expected to attend, participate, and give respectful attention to the leaders and speakers of each chapel. The literature curriculum is based on the idea that students should read both widely and deeply. Students use standard anthologies for much of their reading and through them become familiar with a variety of authors and their best-known works. These shorter works are supplemented by a number of full-length novels and other books. Though many of these works are not by Christian authors, the literature program encourages students to think about and discuss all literature from a Christian perspective. Students are expected to grow in their understanding and articulation of what that means and writing about literature is an important part of that process. Besides the standard courses, RTCS offers enhanced Literature classes for the high school as well as Advanced Placement courses for Juniors and Seniors. Latin is offered to the Junior High Students in accordance with the Classical Model of Education. In High School, two years of foreign language (French) are required for graduation. Most colleges and universities require at least two years of the same foreign language in high school; some require three or more so advanced language classes are offered for students who desire to further their study of French. The French curriculum flows from the idea that, because we are human beings created in God's image, we have a responsibility to communicate in a manner that reflects God's glory. Studying a foreign language such as French can help students become better all-around communicators. Reading, writing, listening and speaking are all part of the curriculum, as are learning about the history and culture of the Francophone world. Students use standard textbooks for much of their work, but these are frequently supplemented with a variety of other activities, including online listening and reading, listening to French tapes and CD's and regular work in the school's language lab. 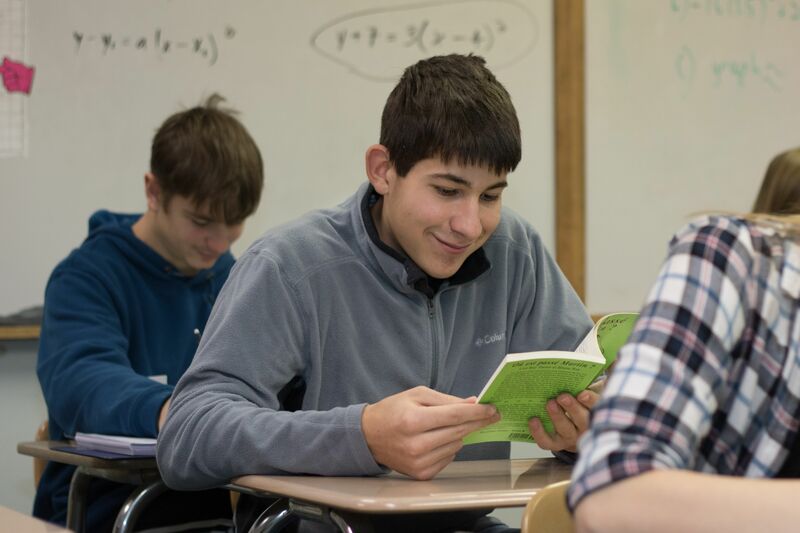 Students in advanced classes read a number of full-length works in the original French language. Social Studies courses are required every year for upper school students. The upper school social studies program has a strong emphasis on historical studies, but geography, political science, economics, sociology and psychology are integrated into the curriculum. 1. First, to understand God's providential role in the affairs of men and nations. 2. Second, to appreciate their own role in the state, the nation, the civilization and the world into which God has placed them. In Junior High, students are required to take mathematics each year. To facilitate the step from the basic math in elementary school to the more scientific math in high school, students start with Transition Math in 7th grade. Upon successful completion of Transition Math, students continue with Algebra 1 in 8th Grade. A combined Trigonometry/Pre-Calculus class is offered to Juniors and Seniors. Calculus is available for Seniors who pass Pre-Calculus with at least a B. In Junior High, students are required to take science each year. In High School, 3.00 credits of science are required. All 1.00 credit courses include a laboratory element. Most of the Science courses include lab experimentation. Other Science electives are offered per teacher availability and student interest. Available science classes for High School students are Biology 1, Biology 2, Chemistry 1, Chemistry 2, and Physics. In the science curriculum, students will study God and His creation through reading, lecture, research, observation and hands-on experimentation and dissection. Emphasis will be placed on studying His creation from a biblical worldview. Therefore, a part of the curriculum includes understanding the theory of evolution and combating it in light of Scripture and general revelation. The goal of Physical Education is threefold. One goal is to educate students through the instruction of various sports and health-promoting activities. A second goal is to encourage and provide opportunities for students to develop and maintain their physiological wellbeing as part of Christian stewardship. This is accomplished through an in-class intramural program. The third goal is to promote students' spiritual growth and sanctification by emphasizing such biblical principles as working together, using collective gifts and developing Christian maturity in word, thought and deed. Health is required by the State of Pennsylvania for all high school students. As we are created in the image of God, health class will focus on the spiritual wellness of the individual as well as physical, emotional and mental wellness. Topics that may be covered include the structure, growth, development and well being of the body, and an overview of anatomy, physiology, nutrition, exercise, diseases, drugs, alcohol and tobacco. The Junior High students are required to take General Music and Art. They may also elect to take choir. High school students are required to obtain one complete credit (1.00) of fine arts classes in any combination of Choir (0.50/year) and/or High School Art (0.25/year). Students will learn basic elements of art, principles of design, art history and art techniques in order to help them grow in creative capacities, learn about the created world around them, and grow in the knowledge of Jesus Christ while glorifying him with their abilities. Possible mediums include drawing, painting, cartooning, printing, collage, and sculpture. Some of their work will be featured in the Spring Art Show.